24 Commonwealth is located on the south side of Commonwealth, between Arlington and Berkeley, with 22 Commonwealth to the east and 26 Commonwealth to the west. Click here for an index to the deeds for 24 Commonwealth. 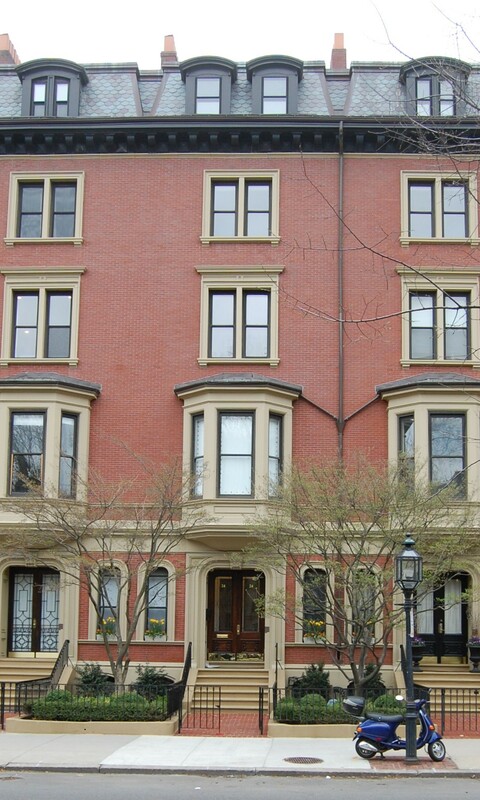 24 Commonwealth was built as the home of Samuel George Snelling and his wife, Eleanora Ellicott (Paul) Snelling. Eleanora Snelling purchased the land from Samuel Hooper on July 1, 1860. They previously had lived at 76 Mt. Vernon. Samuel Snelling was a wholesale merchant and treasurer of the Lowell Bleachery and Dye Works. On August 18, 1886, Samuel Snelling was arrested for embezzling funds from the Lowell Bleachery. He subsequently was convicted. On August 23, 1886, the Snellings transferred 24 Commonwealth to William S. Dexter as trustee, to indemnify those who had signed bail bonds or otherwise served as sureties for Samuel Snelling. On September 24, 1886, William Dexter transferred the property back to Eleanora Snelling, all of the commitments to the bail bond signators and sureties having been met. 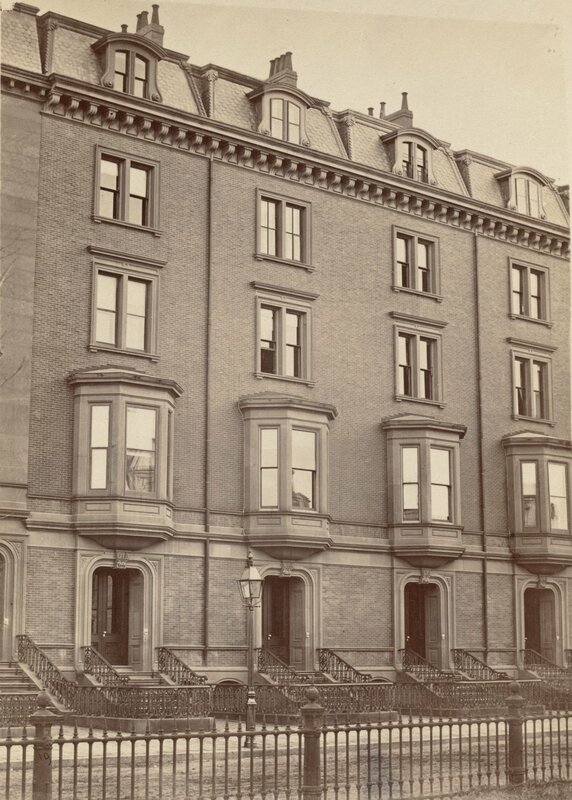 On March 4, 1887, 24 Commonwealth was purchased from Eleanora Snelling by Willard C. Van Derlip, trustee under the will of George Barrell Emerson for the benefit of his daughter, Lucy Buckminster (Emerson) Lowell, wife of lawyer and former US Circuit Court Judge John Lowell, who made it their home. They previously had lived at 3 Arlington. John Lowell died in May of 1897, and Lucy Lowell moved soon thereafter. 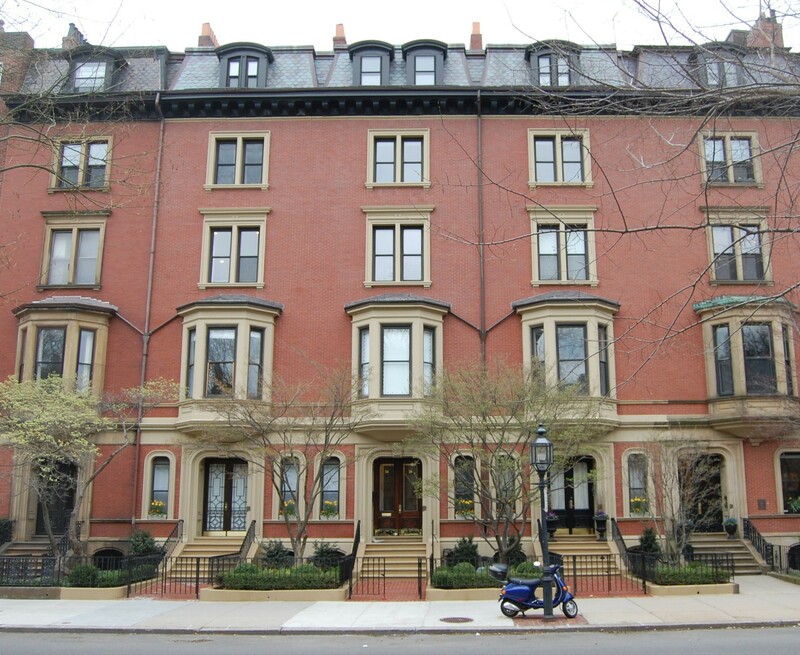 By 1900, she was living in Newton with her unmarried daughter, Lucy and her son, James Arnold Lowell and his wife, Mary Wharton (Churchman) Lowell. James A. Lowell was an attorney and later would become a federal judge. During the 1898-1899 winter season, 24 Commonwealth was the home of Col. Henry Sturgis Russell and his wife, Mary Hathaway (Forbes) Russell. They previously had lived at 406 Marlborough. They also maintained a residence, Home Farm, in Milton. Col. Russell was Boston Fire Commissioner; he formerly had been a shipping merchant in the East India and China trade in his father-in-law’s firm, John Murray Forbes & Co., and had served as president of the Continental Telephone Company. They had moved to 403 Beacon by 1900. 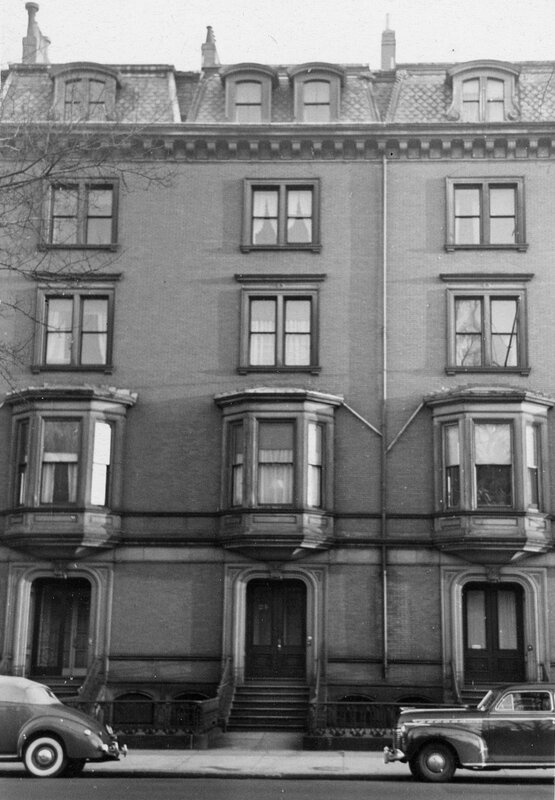 By the 1899-1900 winter season, 24 Commonwealth was the home of the John and Lucy Lowell’s son, John Lowell, Jr., and his wife, Mary Emlen (Hale) Lowell. They previously had lived at 125 Beacon. John Lowell, Jr., was an attorney in partnership with his brother, James A. Lowell. Lucy Lowell died in April of 1904. Under the terms of her father’s will, 24 Commonwealth was inherited by her four living children, John Lowell, Jr., Lucy Lowell, Susan Cabot (Lowell) Aspinwall, the wife of William Henry Aspinwall, and James Arnold Lowell. On October 20, 1904, John Lowell, as the successor trustee under the will of George B. Emerson, transferred the property to himself and his siblings, and on May 24, 1905, he they transferred it to him. John and Mary Lowell’s five children lived with them. Mary Emlen Lowell married in October of 1904 to Francis V. Lloyd, a lawyer, and moved to Philadelphia (they divorced in 1920 and she married in 1924 to Randal Thomas Mowbray Rawdon Berkeley, 8th Earl of Berkeley). John Lowell, III, moved to a ranch in Mesa, Arizona, soon after graduating from Harvard in 1908. Ralph Lowell, a stockbroker, married in September of 1917 to Charlotte Loring and they moved to Dedham. Olivia Lowell also married in September of 1917 to Augustus Thorndike, Jr., a medical student and later a physician in Boston; they moved to 481 Commonwealth. James Hale Lowell, a lawyer, remained unmarried and continued to live at 24 Commonwealth with his parents. On January 11, 1934, 24 Commonwealth was acquired from Mary Lowell by Mrs. Sarah Elizabeth (Williams) Hodson, the former wife of Septimus Hodson. She was a secretary in a real estate office and , on the same day, she conveyed the property to Alpheus S. Haskins. He was an interior decorator with offices at 350 Commonwealth. One week later, he also acquired 26 Commonwealth. 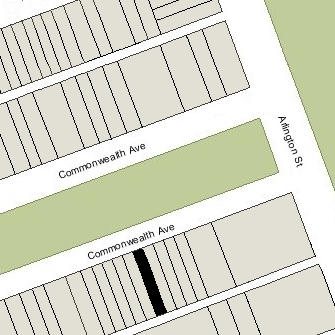 On July 13, 1934, 24 and 26 Commonwealth were acquired from Alpheus Haskins by Mary L. McGill of Somerville. In June of 1934, prior to finalizing her purchase of the property, she applied for (and subsequently received) permission to convert 24 Commonwealth from a single-family dwelling into a three family dwelling. 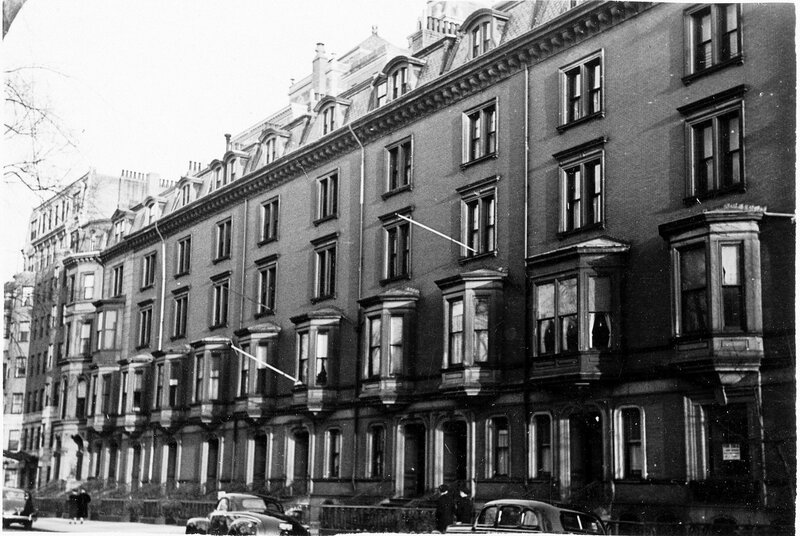 Based on the Lists of Residents for 1935 and subsequent years, it appears that the property was operated as a lodging house.